The smaller the rabbit, the longer his life tends to be, according to the Rabbit Welfare Association website. There is a diverse range of dwarf rabbit breeds available. The Netherland dwarf breed dates back to the early 1900s, and there are several members of the lop-eared bunny family to choose from, including the breed famously featured in the children's story "The Velveteen Rabbit." Dwarf rabbit breeds tend to weigh-in below the 7-pound mark, with the smallest weighing about 2 1/2 pounds. The Netherland dwarf is an example of one of the smallest dwarf breeds. By contrast, the giant breeds weigh between 13 to 16 pounds. In general, the dwarf breeds live to between 10 to 12 years. 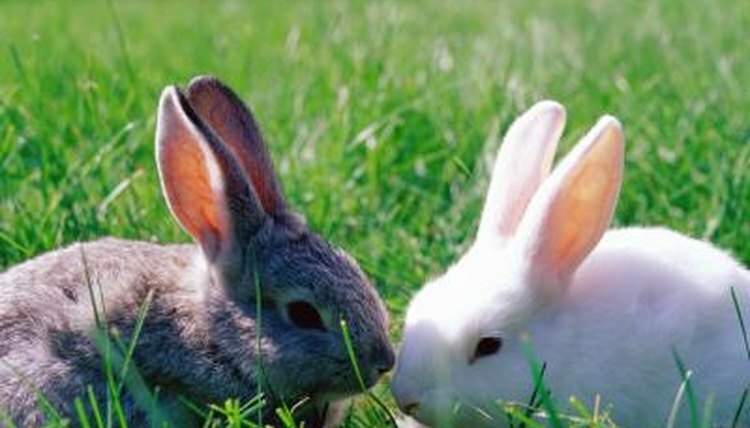 By contrast, the larger rabbit breeds may only live for five to six years.